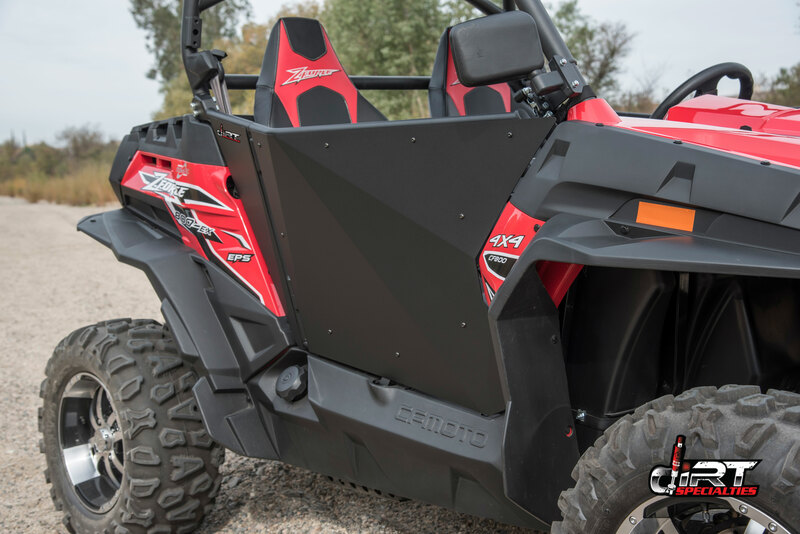 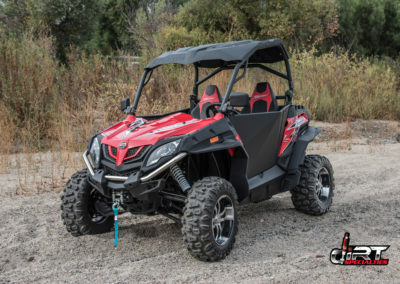 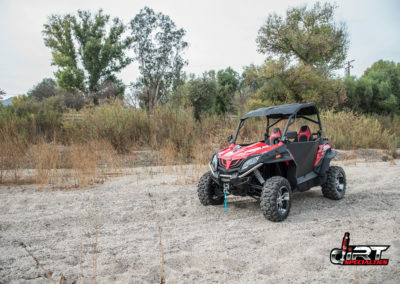 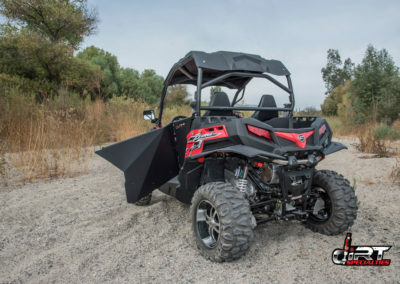 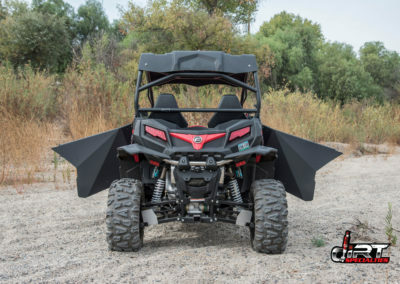 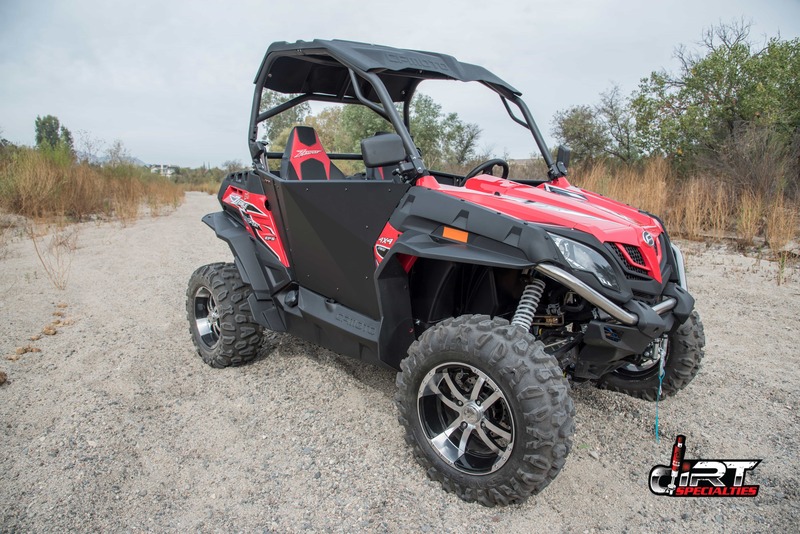 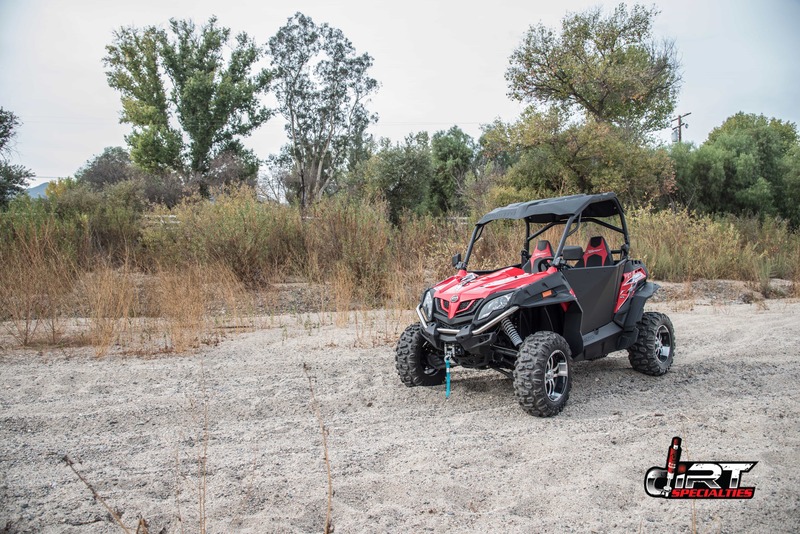 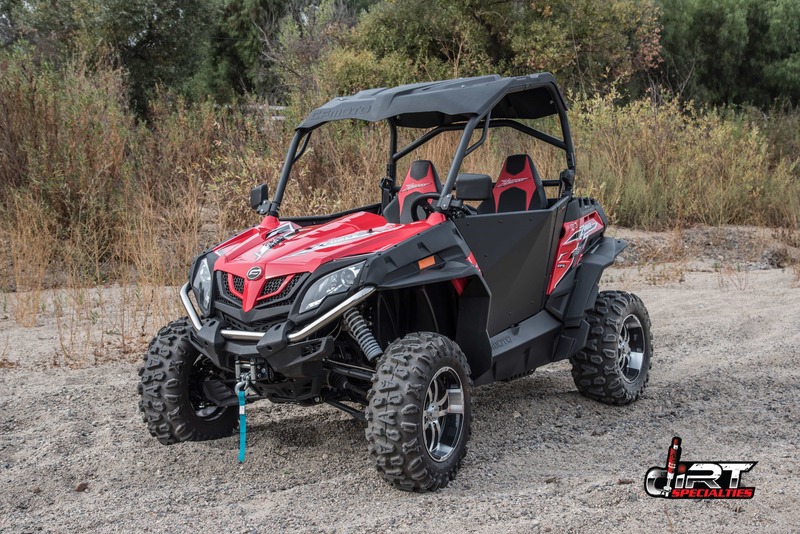 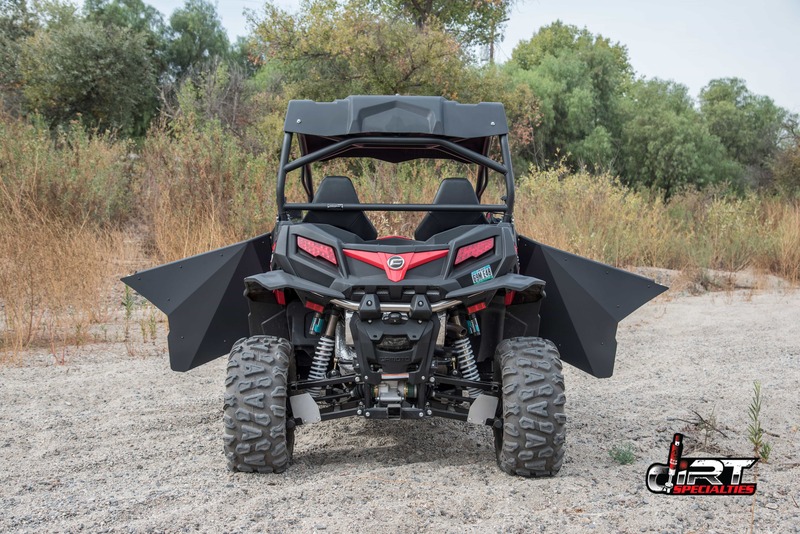 CF Moto ZForce side by sides come equipped with some great features, like a winch, roof and 2” receiver, this makes it easy for ZForce owners to start shopping for the aftermarket accessories they want because they already have a few of the necessities. 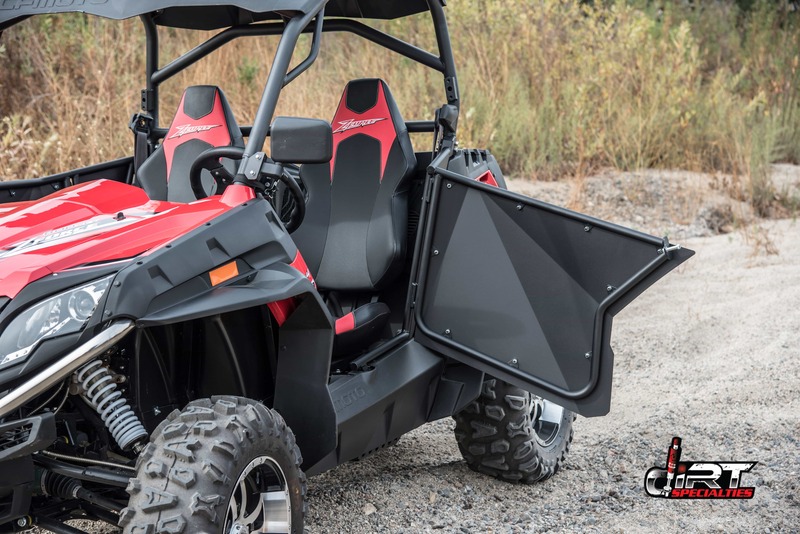 Whether they are a necessity or not is a matter of opinion but many shoppers seem to be looking for doors to their machine. 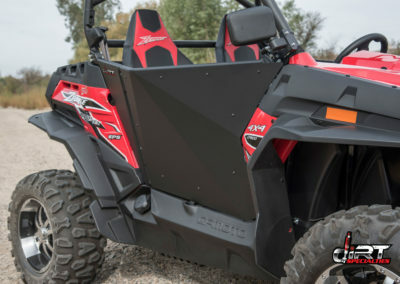 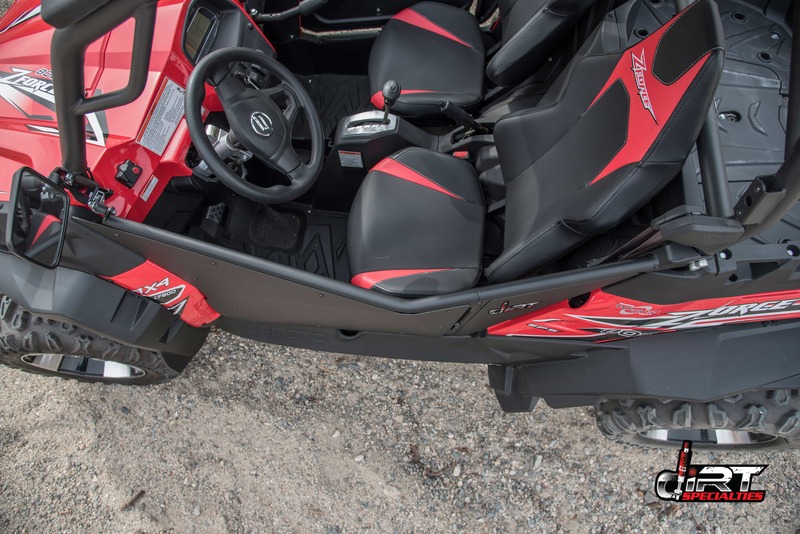 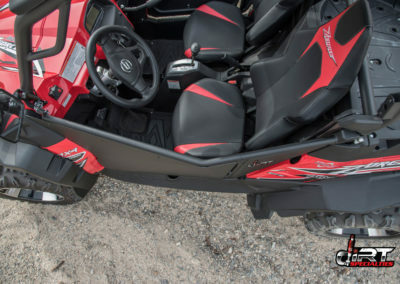 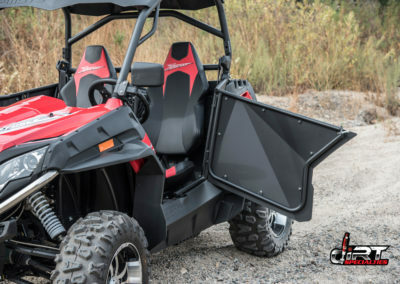 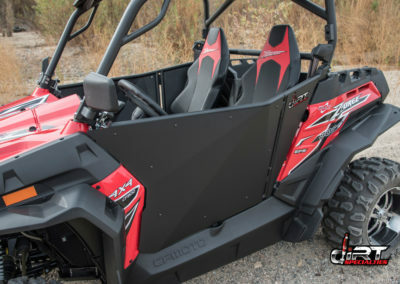 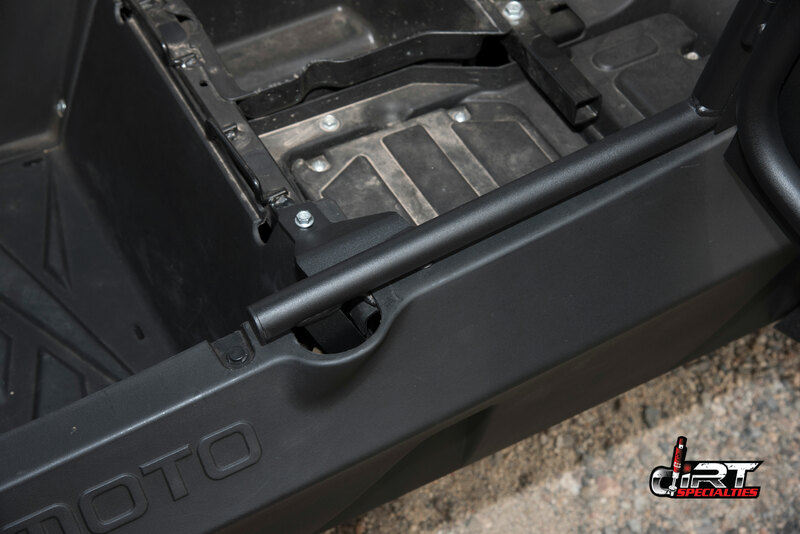 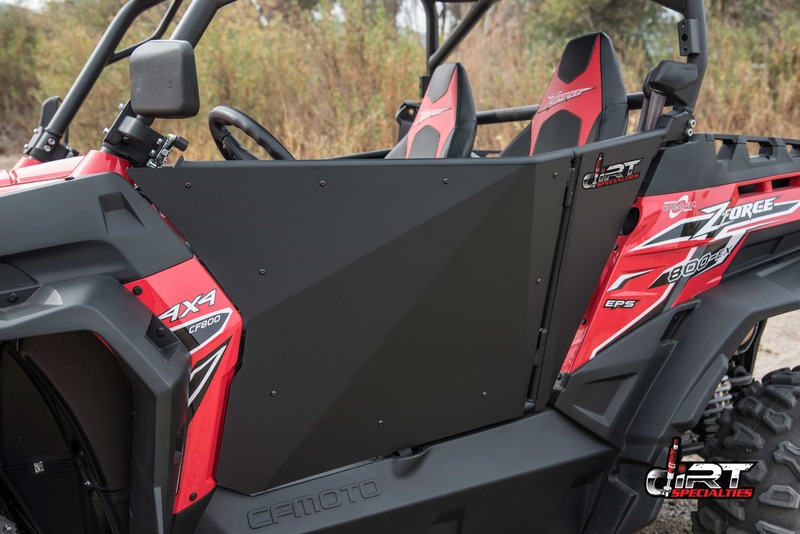 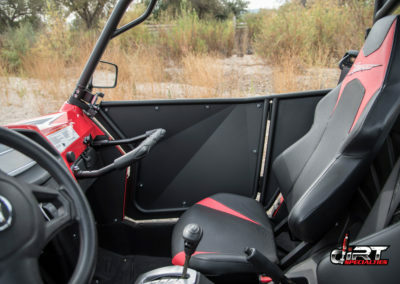 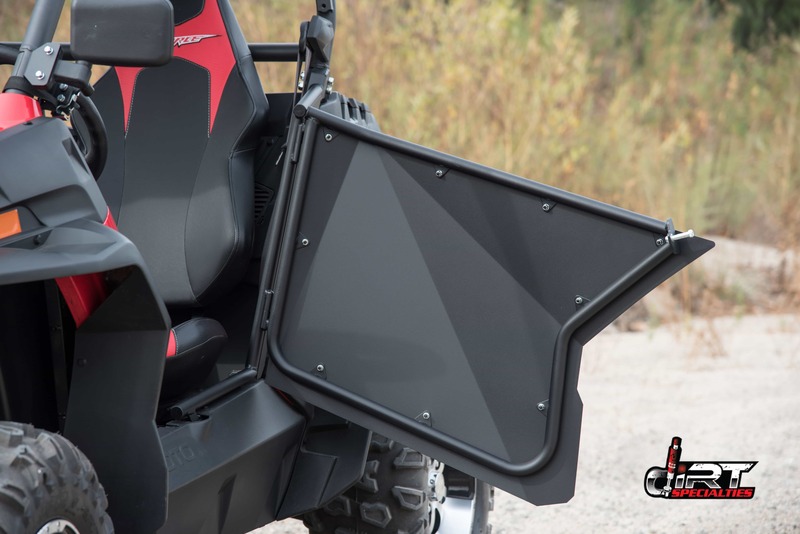 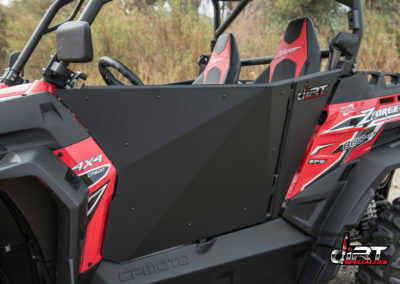 CF Moto owners know that certain parts, like doors, can be scarce and hard to find, one company recognized this gap in the UTV market and decided to take action. California company Dirt Specialties was aware that there was a demand for CF Moto parts and accessories, they began to notice that there just wasn’t much out there and one item in particular that was nowhere to be found was ZForce doors. 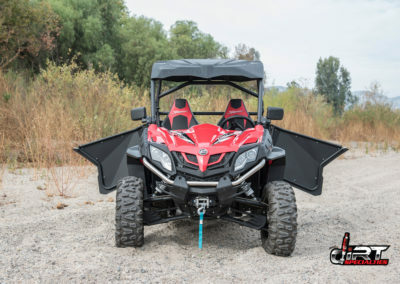 Dirt Specialties, working closely with industry experts, designed the Alpha 2.0 Doors for the ZForce 500, 800 and 800 EX. 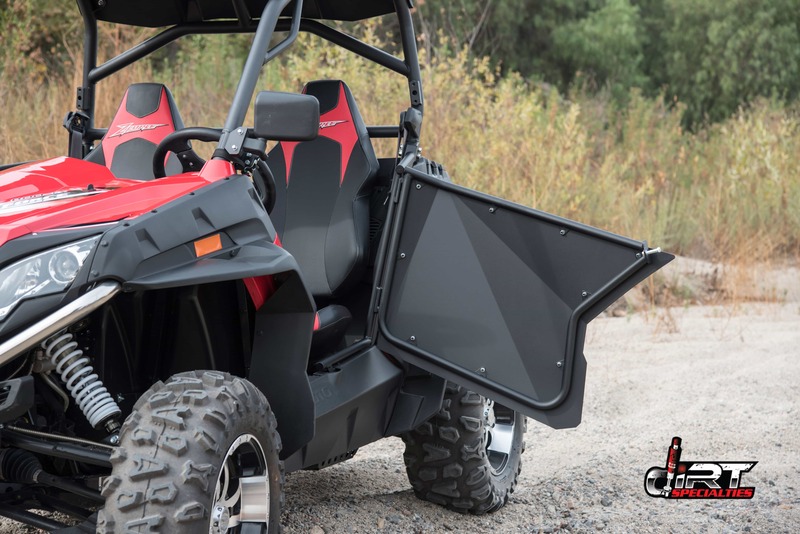 Designed with an angled frame for maximum cab room and comfort, Alpha 2.0 Doors are constructed with 1 inch diameter, .083″ tubular steel and features .080” sheet aluminum doors skins and .0188” thick steel door brackets; all powder coated black for a sleek look. 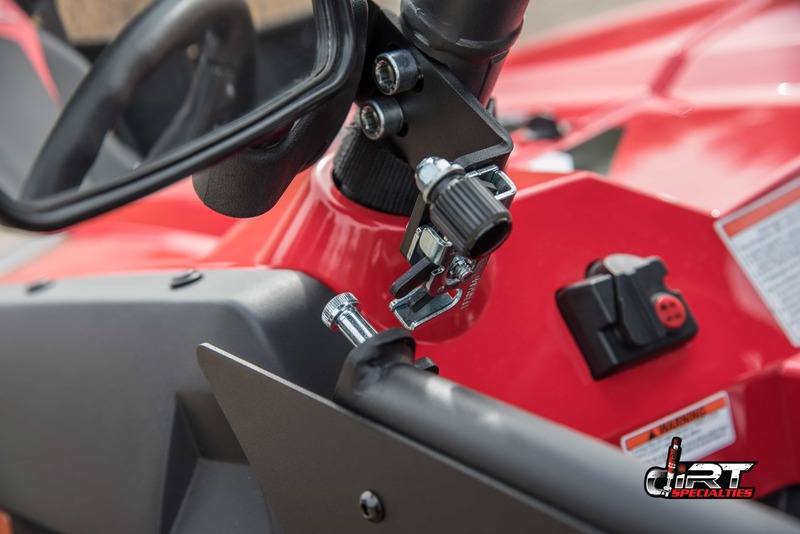 Not only do they feature automotive grade slam latches for a secure closure, slam latches make entering and exiting the vehicle trouble-free. 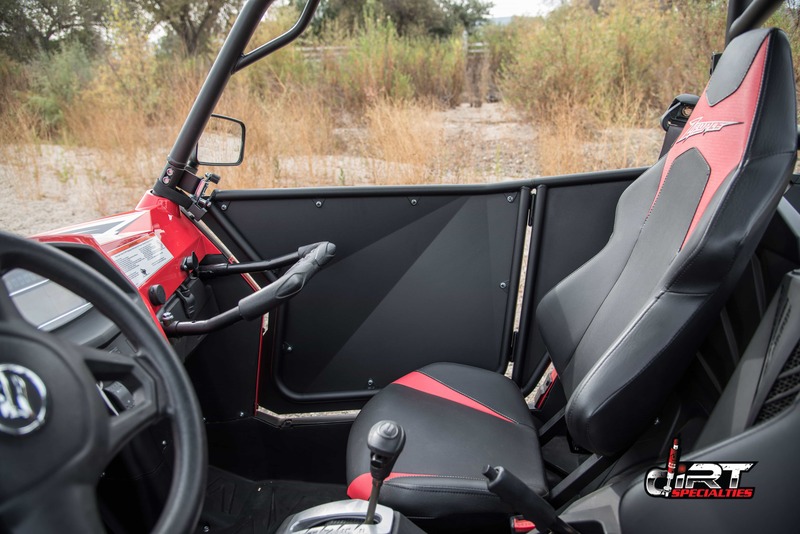 These durable and stylish doors bolt to the roll cage and stock locations and include all the necessary hardware for the installation. 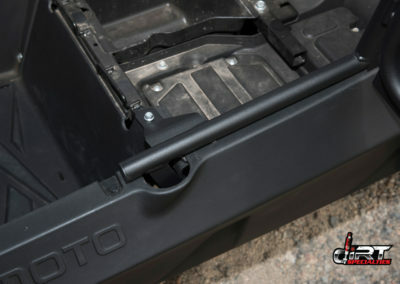 To top it off, this product is made in the USA. 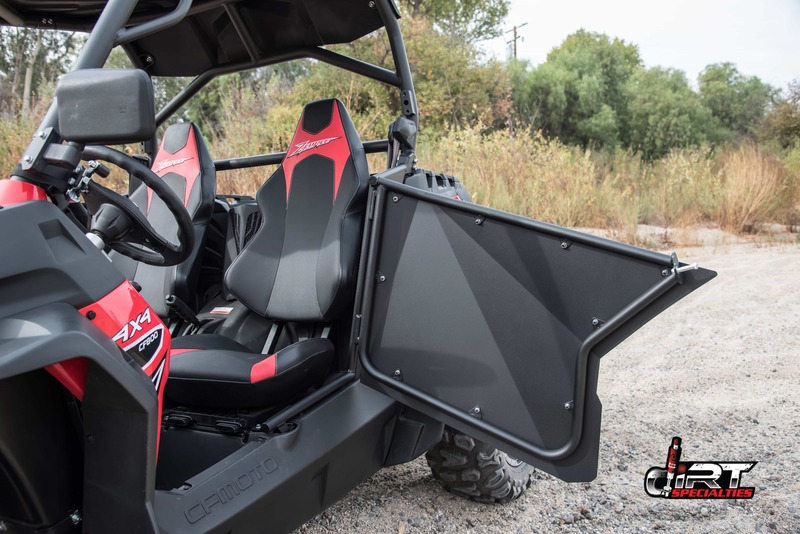 That’s right, Alpha 2.0 Doors are laser cut, machine bent and hand-welded by Dirt Specialties giving each set a of doors attention to detail so you know you’re getting a quality product. 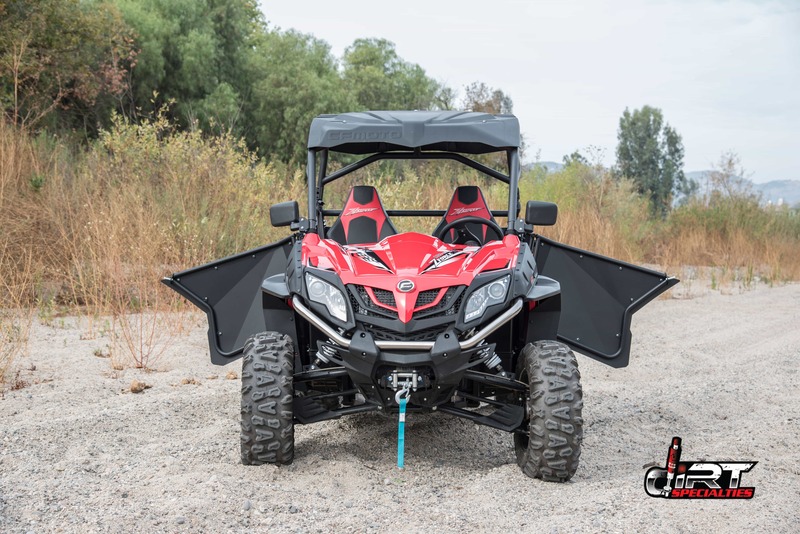 If you own a CF Moto ZForce 500, ZForce 800 or 800 EX and are in the market for doors, then look no further. 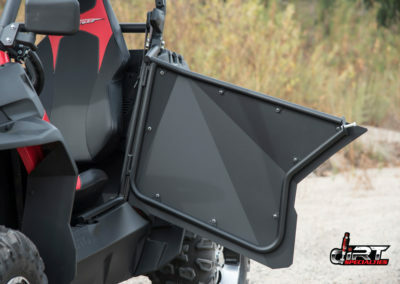 You can find SxS doors by Dirt Specialties at Side By Side Stuff. 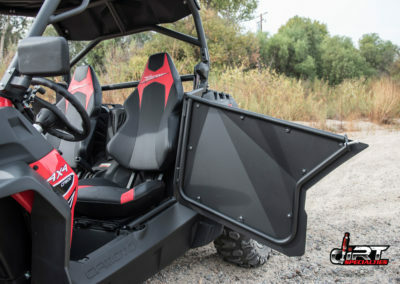 Just click HERE to purchase Alpha 2.0 Doors by Dirt Specialties. 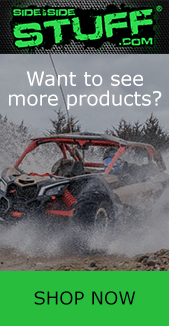 Get Newswire in your Inbox!